Sharp Development LLC is your best choice for a local Home addition contractor. With years of residential construction experience, we understand construction methods current and past. This knowledge allows us to bring your current home into the modern era with style. With new construction home prices at an all time high, remodeling your existing home is a great option. 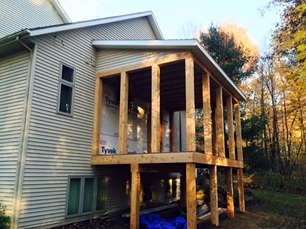 Give us call and let us help get your home addition project started today!